Astronomy … One of the oldest sciences , so old , how old civilization . In vain in the mists of centuries, we sought its origins. Traces of it we find in the oldest records . Of course, it was the first knowledge of primitive and totally impossible to learn in our understanding . It began with the simplest of observations , from naive attempts to explain the observed phenomena , because of the ignorance of the laws of nature, these explanations were closely associated with religious beliefs. One might ask the question , where is all known since the earliest times, have not survived to our day , no records , no messages . That’s true , but we have reason to draw such an image has just the earliest astronomy, because today still preserved here and there quite primitive tribes that live on the same level of civilization as our ancestors before many thousands of years. You can take a look at their lifestyle , beliefs , concepts , and on this basis to form an opinion on the original astronomical knowledge . 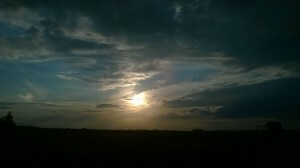 People interested in the sky from time immemorial. Do not cause them but curiosity , but needs daily life, hard and ruthless fight for survival , but of course one can not ignore completely understandable desire to know the world. Early man was particularly strongly dependent on the surrounding landscape , a powerful and mysterious force , so it’s no surprise that watching her carefully , wanting to know her , and utilize accumulated knowledge in a practical way . It is worth noting that these utilitarian goals accompanied astronomy today. And although recently a prominent place already stepped cognitive element , it is after all the practical tasks of astronomy are not only still relevant , but often affected in a certain direction for its development. Looking at the sky, early primitive man began to distinguish between types of celestial bodies. 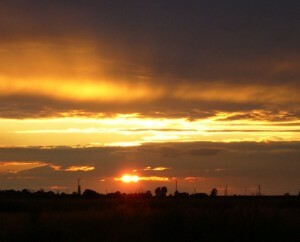 For the most recognized immediately the sun , the source of life-giving light and heat. Its sunrise regulate the rhythm of human life and of its position in the sky depend on the season. 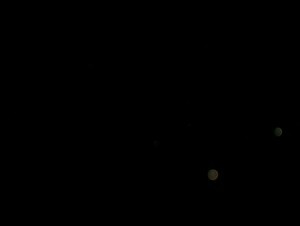 The second most important celestial body was the moon, often illuminating the darkness of the night , a real decoration of the starry sky . Already in ancient times it was noted that not only are its various phases , but that it moves continuous stars. Sometimes there were unusual , arousing astonishment and terror phenomenon. 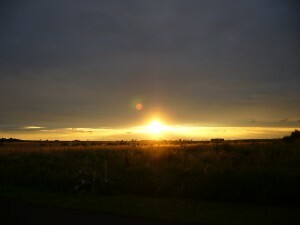 Here sometimes the sun ceased to shine , and for a while the day turned into night . At other times during the full moon suddenly. They were incomprehensible to primitive man , scary and mysterious phenomena of solar and lunar eclipses . People saw in them the announcement natural and visible sign of the anger of the gods. In every clear night man saw the stars the sky flashed , cut a clear streak of the Milky Way. Looking at him , saw a groupings of stars of different figures. The luxuriant imagination helped him fill the starry sky figures of people and animals, representations of objects . Often placed there legends heroes or demigods. This is how the constellations . Of course, linking the stars in the constellations were different among different peoples. 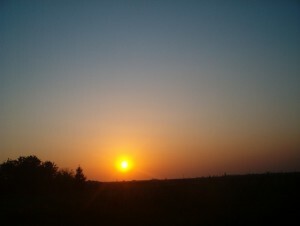 In times immemorial man also noticed that all the heavenly bodies , not only the sun and the moon , but the stars rise and that the whole firmament made ​​a day full rotation . 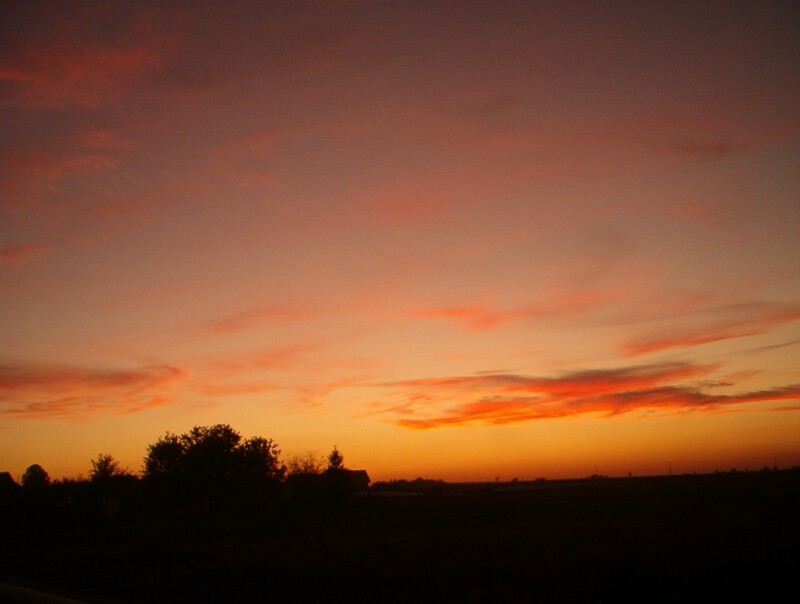 This phenomenon has been used since ancient times to determine the time of night. Further careful observation of the starry sky have revealed that a few „stars” does not maintain a fixed position against the background constellations. 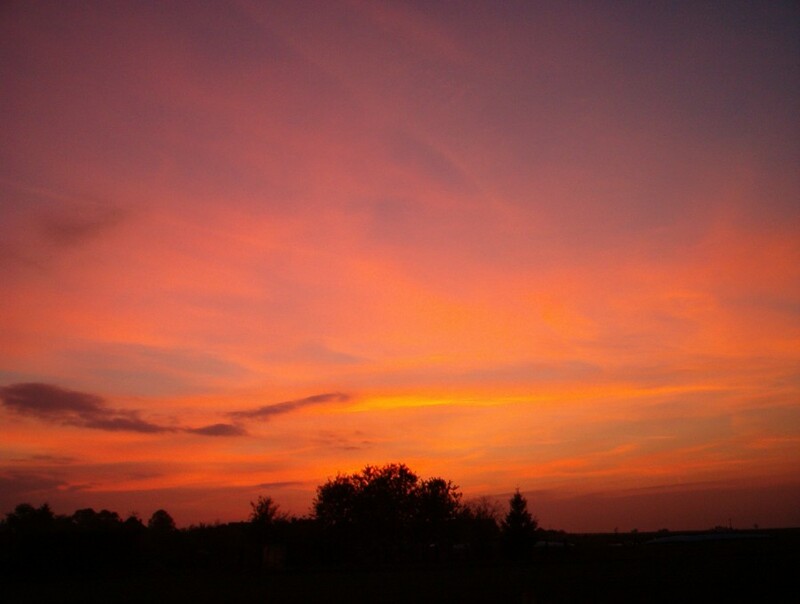 In its constant motion , they sweep the sky convoluted way , following essentially the east, but sometimes going back for a while to the west, to then return again to the east . It turned out that this movement is always in a specific zone of the sky , the same year in which move the sun and the moon . In later centuries the ancient Greeks all these moving objects , including the Sun and not the Moon, called ” wandering stars „, ie planets ( Greek planao means wander ) . 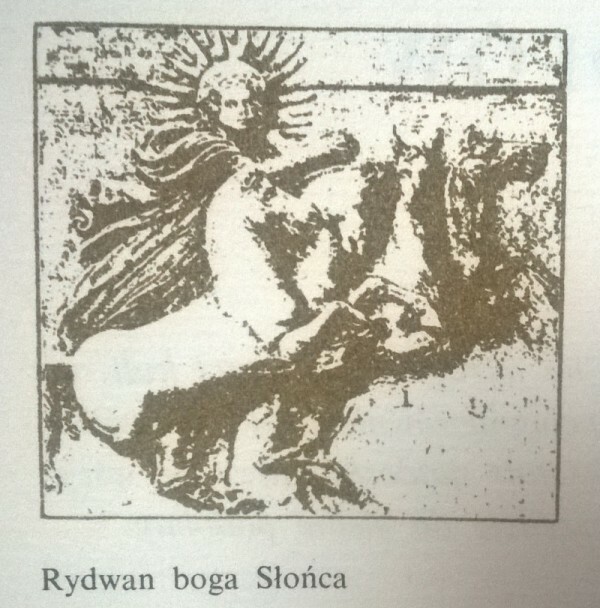 This name remained in use to this day , but does not include either the sun or moon. 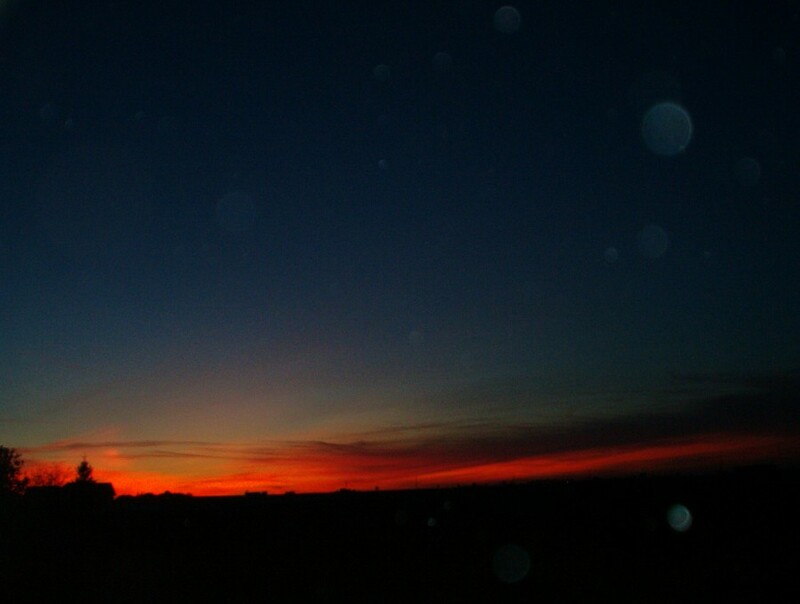 Sometimes the sky appeared a comet , waking – as well as other unusual and unexpected phenomenon – anxiety. Early man did not doubt the property of the Earth. After all, all his senses seemed to attest to the fact that any of his feelings he could not do away the traffic . He also believed the Earth as flat , not too far away in fact from their homes , did not notice her curves. In his opinion , this flat and motionless Earth was the center of the world covered with a dome of the sky , after which the heavenly bodies moved. 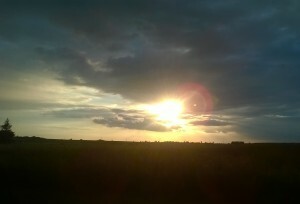 This view upatrujący in the Earth fixed center of the world, called the geocentric view or shortly geocentryzmem ( from the Greek word ge – Earth and Latin center – center) . This raises the strictly anthropocentric ( from the Greek word anthropos – man ) , attributing to man a privileged position in the world. According to this view , the only rational being (not counting , of course, supernatural beings ) , resides on the center of this world , all of which has been created for him . Both of these views have persisted for centuries . Note the close and logical relationship of certain key concepts and ideas. 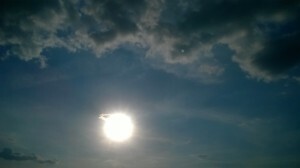 Here’s inability to explain natural phenomena of nature forced the man to explain them through the supernatural world to fill various deities and spirits responsible for its creation , but functioning , while made ​​on the basis of geocentryzm and anthropocentrism has deepened this difficulty . On the basis of the developed different religious beliefs , as well as born astrology , divination or configuration of celestial bodies . She also isolate a group of priests , mediating between humans and deities . In some cases, there was time to extract a closed caste of priests , who played in the State considerable and sometimes decisive role. 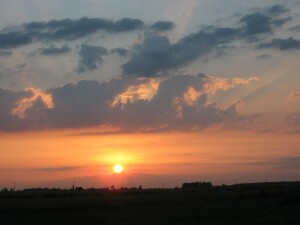 In ancient nations , which generated a high civilization , usually has a relatively high also astronomy. These included the peoples of Mesopotamia , the Egyptians , the Greeks , the peoples of India , the Chinese , and the Maya in Central America . And although the astronomical knowledge of these peoples was different , to find in it easily shared basic features . Everywhere in the first plan put forward the measurement of time , calendar and orientation on land and sea , everywhere reigned geocentryzm , everywhere was highly developed religious element . Our current astronomy originated in the eastern Mediterranean and the Middle East , and other centers do not actually interacted with her. Tigris and Euphrates Valley is the birthplace of one of the oldest civilizations of the world , which can be safely regarded as the nucleus of our modern civilization and culture. The history of this ancient culture , as well as the history of the peoples who created it , cover over three thousand years , and although the word culture has long froze it after its heyday during the radiated far beyond its area , acting creatively to other centers . The origins of the culture associated with the Sumerians , the people of unexplained origin , who in the fourth millennium BC appeared in the lower reaches of the Tigris and Euphrates . Using the extremely fertile soil Mesopotamia and using excellent irrigation system , developed a well-posed agriculture and became the nucleus of high , as in those times of culture. In the third millennium BC the Tigris and Euphrates center appeared Akadowie who absorbed Sumerian state , taking with it their culture and civilization. Next millennium were rich in events . State akadyjsko – Sumerian been dominated by Semitic Amurytów who gave birth to the state of Babylon . Babylonia , worthy heir to the previous culture, strongly influenced the neighboring countries , ruling for some time over Mesopotamia , and although he was also a period when the country was part of Assyria . 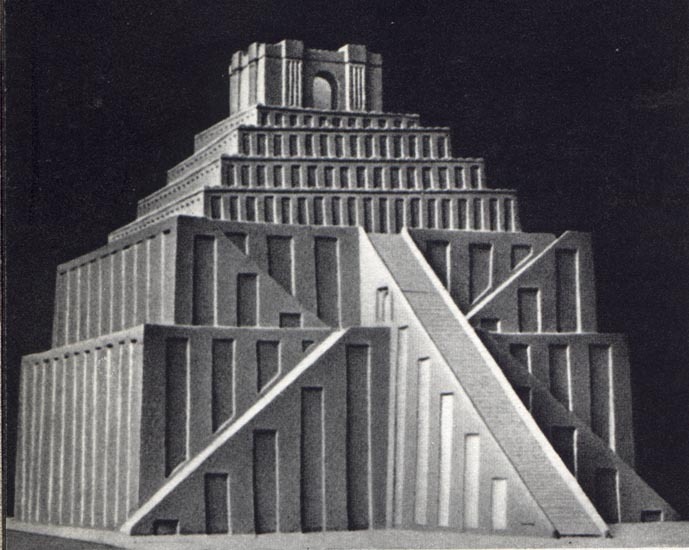 Beautiful development of culture , science and civilization was stopped in the sixth century BC after learning of Babylon by the Persians , and from the time of the conquests of Alexander of Macedon Babilonia eventually began to lose its cultural significance . Astronomy occupied in the study of the peoples of Mesopotamia prominent position . The Sumerian astronomy we know little . In any case, the Sumerians came from the division of the year into 12 months and then taken over by the Babylonians . However, these were lunar months , lasting from new moon to new moon . In Mesopotamia existed between astronomy and religion so closely connected that they form virtually inseparable whole. World governing filled in the deity , and the individual celestial bodies were identified as some of them. 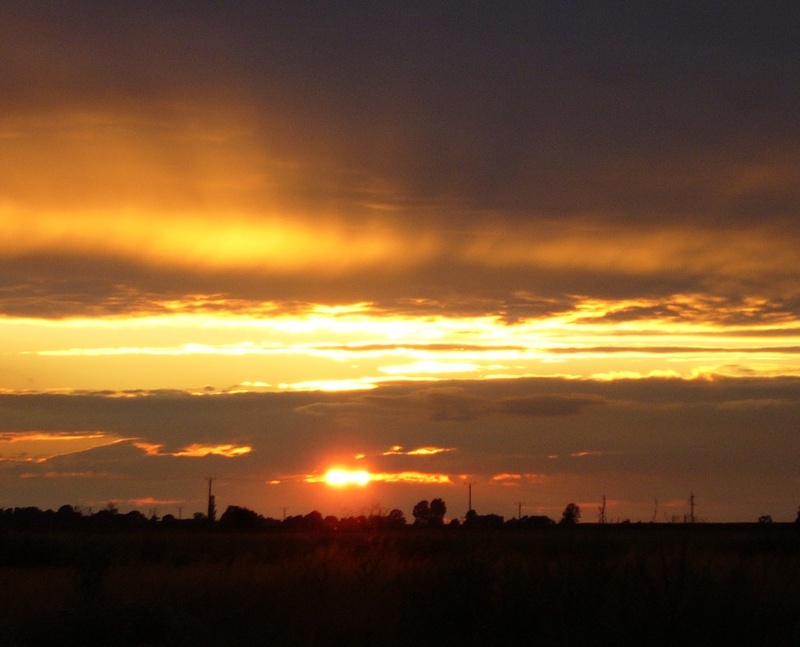 The highest god was Anu , the ruler of heaven, Enlil ruled the Earth , water – Ea , Sun – Szamysz , and the Moon – Sin. The same was true of the planets. Venus was considered the star goddess Ishtar , Jupiter – the star of Marduk , Mercury – the star of Nabu , Saturn – the star Ninib and Mars – the star of Nergal . These ideas led to the belief in the influence of heavenly bodies on human lives and to the emergence of astrology. According to it the destiny of man depended not only on the visibility of the relevant celestial bodies , but also on their mutual configuration and position relative to the Sun. Planets played here because of their more complex movements of the most prominent role. Of great importance was attributed also eclipses of the Moon. To the formation and development of astrology greatly contributed to the Assyrians , whose warlike and rapacious rulers were obviously very interested in all divination and prophecies . It is obvious that astrology has nothing to do with science. However, from the outset played a prominent role in the development of astronomy , acting strong incentive to regularly observe the sky , to enrich and structuring the observational material . Also the ability to carry out calculations and predictions of astronomical phenomena clearly demonstrate high for those times craftsmanship Babylonian astronomers – priests. Earth in the concept of the Babylonians was completely still and was in the midst of the world. She had a convex shape , and the interior of the palace was dead. As it covered the firmament shade under which circled the Sun , Moon and planets . 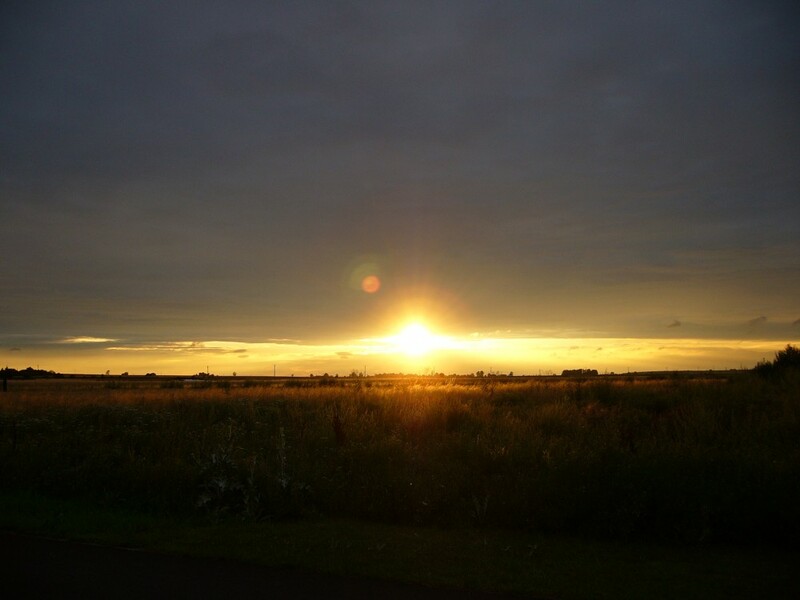 The sun came out at dawn through the east gate , situated behind a high mountain, to the south was rising upward, and then left the westward to the evening to go through the gates of the west, lying at a high mountain on the western edge of the Earth. During the night it had been in the palace of the dead. Deep in the interior of the Earth was the earthly ocean , and the vault of the upper ocean blue , or blue , with the latter through the holes in the ceiling were falling rain. At the same the top, above the vault , the gods had their habitat . Similarly, represented the state of astronomy in Egypt. And this study rests in the hands of the priests diligently guarding their secrets . Here, too, the heavenly bodies were identified with deities , such as the Sun god Ra , Sirius – Isis , Orion – Osiris . Astronomy was limited to the strictly practical purposes , of which the principal was laying the calendar. However, unlike the peoples of Mesopotamia , the Egyptians developed a solar calendar , adjusted for regularly occurring annual floods of the Nile. 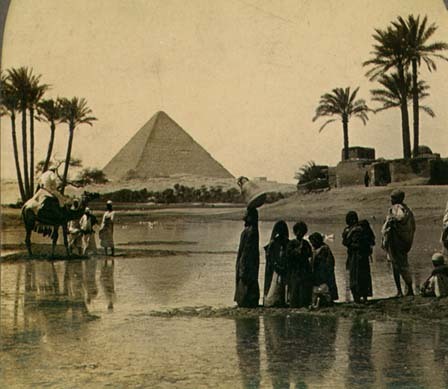 The basic tasks of the priests – astronomers had advance notice of dates stroke Nile, having yet so crucial to the Egyptian agriculture . Already in ancient times, Egyptian priests noticed that in the immediately preceding flooding of the Nile followed by helical (just before sunrise ) east bright star Sirius , also called the divine star Sothis . So every year the priests watched the sky , looking for the right time , brazed east of Sirius , and when it occurred , predicting life-sustaining flooding of the Nile. In addition, they were able with great precision set of astronomical observations of the world , according to which the oriented pyramids and temples. Above all , however, have used their mysterious to the general knowledge to consolidate its influence in the country . At the Egyptians , like the Babylonians and in spite of the high level of skills of observation and practical view of the world has not gone beyond the primitive . According to the Egyptian concept of the Earth was a big , elongated basin and surrounded by mountains , which means the Nile flowed . Above it were considered a deity air, supporting the vault of heaven. Resting on the ground while also recognized god water, which in turn is limited by the bottom of the concave surface symmetrical with respect to the vault of heaven. It should be emphasized that the similarity of socio – economic – political in Mesopotamia and Egypt led to a similar in their characteristics combined science with religion in one indissoluble relationship. Found in her back , absolute ruler exploited ruthlessly with the priests and the aristocracy broad masses of the people and the slaves are obliged to obey blindly and did not allow for any changes that might undermine their position. Priests – astronomers so content with merely the accumulation of observational material , just getting to know the movements of the heavenly bodies , and preaching ahead of astronomical phenomena , which in turn strengthened even more the importance and power , but they could not bring myself to change the concept of construction in the world. Under these conditions, the study had to ossify in an outdated form . completely similar to each other everywhere. Unlike in Mesopotamia and Egypt were as socio-political conditions in Greece , which resulted in the development of science and culture went there the other tracks. Greece was not a single state organism , but disintegrated into many independent city-states . Lack of a strong central state power and influential caste of priests caused the secular philosophers who were the creators of culture and science , able to operate quite freely , with the exceptional cases were persecuted for preaching personal views . These conditions have shaped the Greek – a free man , so different from the type of inhabitant of Mesopotamia and Egypt . We should add that numerous travel, trade and the expansion of the Greeks wyrabiały entrepreneurship and ingenuity . It is this ingenuity , the ability to reason and create geometric constructions has left its mark on Greek astronomy . While the Babylonians and Egyptians lot and systematically observed , and few have dealt with the problems of construction of the world, the Greeks acted contrary . Prevailed in their philosophical speculations about the geometric structure of the world , sometimes based on very scant empirical evidence . Only in later centuries, after extensive contact with the culture of the Middle East, began to broaden his base of observation . The ultimate result of the development of Greek thought was shaping the worldview which for long ages , because until the Copernican reform , atomically controlled European study . 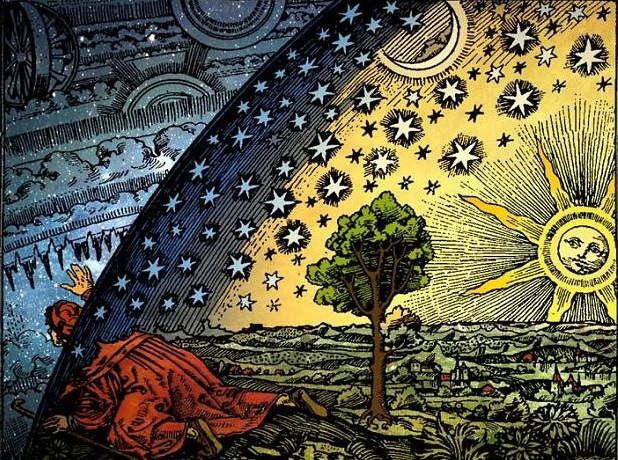 He was supposedly a disciple of Anaximander , however, had a slightly different view of the construction of the matter , taking air as the basic substance constituting the matrix of all being . On the materialist position has also Heraclitus of Ephesus . (VI – V century BC) , who held that the world is eternal and not created by any of the gods. Heraclitus considered for pramaterię fire that properly lighting or dimming maintains the existence of the world . Matter is by him in the eternal motion (in Greek – Panta Rhei – everything flows ) and the constant process of transformation itself . Some thought the flat earth ( Anaximenes and Empedokles ), other various shapes to give it as a cylinder or drum , pan or the root of a giant downwardly tapering . These views have not remained , however , giving way to the concept of the sphericity of the Earth. Slip out of this concept is usually associated with a person of Pythagoras . (c. 572 – ok.497 BC ) . Scientific ideas of Pythagoras and his disciples differ significantly from those of the Babylonians . Recognizing the continued central position of the Earth in the middle of the world, the Pythagoreans attributed to the shape of the ball , nothing but unsupported . Motionless , like not supported spherical Earth encircled by Pythagoras, all the heavenly bodies , the moon beginning and ending at the stars . 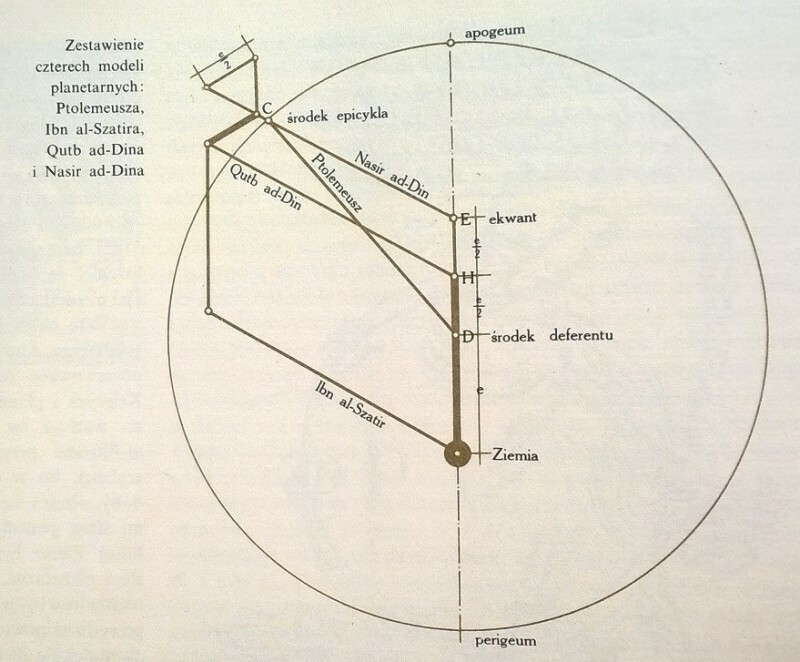 Pythagorean scheme of model construction of the world became the basis for later earned the geocentric system . Original concept preached Philolaus of Tarentum , Pythagorean from the fifth century BC He claimed that the Earth is not a fixed lump resting in the middle of the world, but that in the middle of the central fire is called Hestia , lighting and heating throughout the world. Earth is circling the fire once a day , turning to him, but always one and it is not inhabited party , which was explained by the fact that no one has ever yet had not seen the fire . At the same time , however, Philolaus explained in this way daily motion of the celestial sphere . 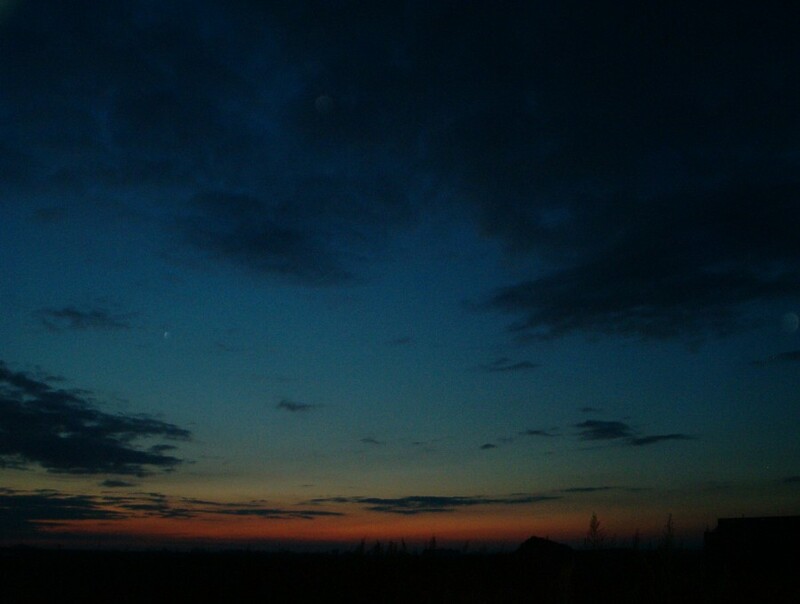 Like Earth , Hestia circled the moon, sun , planets and stars. 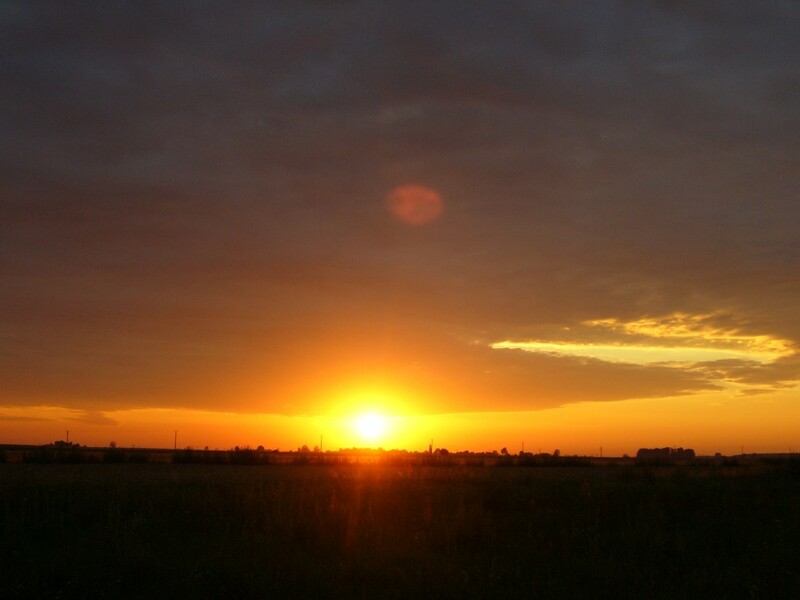 * It is noteworthy that Philolaus believed that the sun does not shine with their own light , but it is like a huge mirror reflecting the central fire background . * Another scholar – Herakleides proclaimed that Mercury and Venus revolve around the sun , and only with him orbit the Earth. This system was later wrongly Egyptian name . The views allowing any movement of the Earth , however, did not find favor with the general Greek philosophers . Mainstream Greek astronomy came out with the assumption of complete real estate Earth. They began to recognize balls and circle for a perfect geometrical pieces , and their uniform circular motion for movement excellent and , as such, they lay the basis for any design relating to the construction of the world. The concept of sphericity and excellence of the world has been firmly established by Plato (c. 427 – 347 BC, the creator of the idealistic view of the world , whose ideas shaped under the influence of a science of the Pythagoreans . Plato imagined the universe as a living creature , and his concept of limited , single , spherical and rotating the world remained the basis for further scientific consideration . 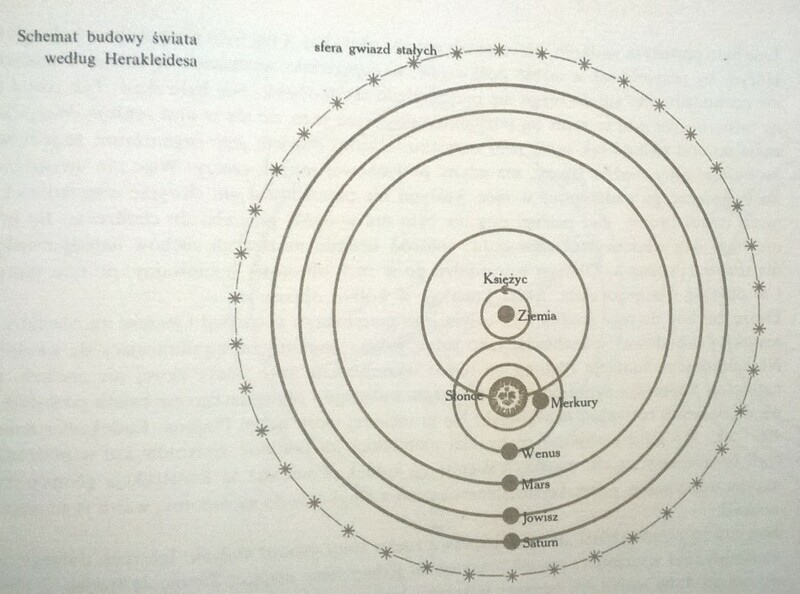 On the basis of this theory, a student of Plato , Eudoxus of Knidos ( ok.408 – ca 355 BC) explained the movements of celestial bodies by systems of concentric spheres , with Earth as the center . this design geometric , then accepted by Aristotle , came for a long time to astronomy. 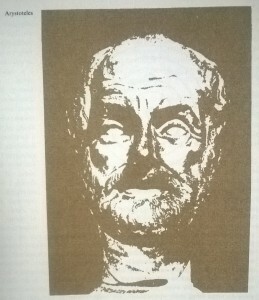 Aristotle , his business began as a student of Plato. He strove to reconcile idealism with materialism , which led to a dualism in the understanding of matter and nature. According to Aristotle, every substance would consist of passive matter and forming the mold. Nevertheless, Aristotle believed that matter is eternal, and therefore can not come from nothing , nor turn into nothingness . He accepted the division of matter on the earth’s four elements: earth, water , air and fire – by adding thereto the fifth blue element called ether. Each of these elements has its natural position in the world , and, if it was derived, was trying to return him . So the Earth , as the hardest , was in the middle of the world and it was built globe . Water, as a lighter , formed on the surface of the earth the sea , lakes and rivers , and even lighter air surrounded the entire Earth spherical layer . The above was a fire zone , the lightest element , reaching up to the sphere of the Moon. Earthly world was imperfect , and all earthly songs were reversible. In contrast, built with ether world of celestial bodies was perfect, eternal and indestructible. Same endowed with heavenly bodies were perfect and eternal circular motion . Hence, these two so different worlds, ie Earth and Heaven , ruled by the separate laws. And it was obvious that the law known on Earth does not apply in the Sky . At the same time , Aristotle believed that space is inextricably linked with matter, which at the same abhors a vacuum . The theory of causality he tried to reconcile the materialistic determinism and teleology ( from the Greek word telos – target) , which states that ruled over the desirability of events . Aristotle argued that the entire world (except the Earth) is in continual motion, and ” the first factor moving ” was the power of the supernatural . In his system, the construction of the world stood on the far Aristotle geocentric position . His concept was further developed ideas of Pythagoras and Eudoxus . Earth he considered completely immobile sphere. The spherical shape also attributed all the heavenly bodies , as the bullet he considered the most perfect body ; one of the basic argument here was the fact that the sphere in rotation about its axis is always the same part of the space . 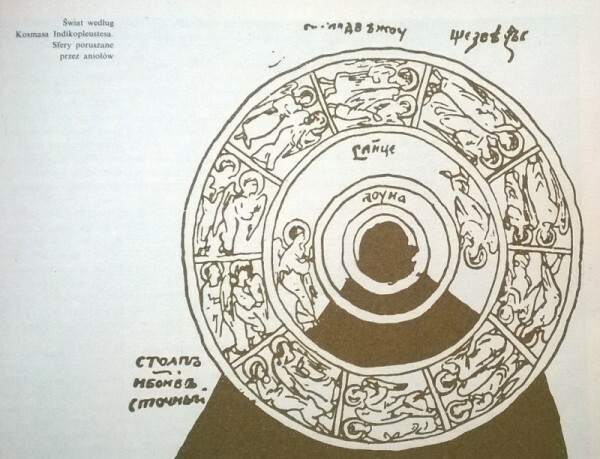 In the Aristotelian model of the construction of the world, around a stationary and a centrally located heavenly bodies circled the Earth in the following order : Moon , Sun , Venus, Mercury, Mars , Jupiter, Saturn , and the star. Explained their movements introduced by Eudoxus system of concentric spheres , with the model that contained a total of 55 classes. As if they were inserted one into the other , in contact with each other, so that they can communicate to each movement . For Aristotle, the original motion adopted last movement , the outer sphere , rotating once a day and passing traffic to other spheres . All of these spheres of thought , of course, for the physically existing material , the fact that they were built with perfect element – ether. For Aristotle closed the first period of the history of Greek science is characterized by a predominance of pure philosophy , attempts a rational , explanation of the properties and structure of the universe . On observations, experiences and measurements were placed too much emphasis . The change brought before the next centuries . The period of the conquests of Alexander of Macedon (356 – 323 BC) is a turning point in the history of the Middle East, fundamentally changing the political map of the region, and as a result he stood open to influences of Greek culture. And although Alexander’s empire fell apart after his death, the presence of the Greeks in the area remained a fact, as the leaders of a great conqueror transformed the former provinces in an independent state, zakładającw these new dynasties. The new rulers, while maintaining the principle of the Greek spirit, they began to surround the eastern pomp, splendor take care of their mansions, while not shirked from taking even the divine titles, what has so far been alien to the Greeks. To celebrate his reign of these rulers supported the arts, culture and science, which in contact with the culture of the eastern suffered transformation, enrichment and recovery, without losing its specific Greek character. For this reason, both the history of this era and its new culture, are called Hellenistic. In terms of cultural and scientific most favorable conditions prevailed, and it is already in the third century BC in Alexandria, Egypt ruled by the rulers of the dynasty Lagids. The very first of them, Ptolemy (Ptolemajos) I Soter, a former Macedonian leader Alexander, founded the famous library of Alexandria, and no less famous Museum (Museion Greek temple of the muses) which is formally an association of worship of the muses, and in fact research center, well-equipped, having an astronomical observatory, zoo, botanical, etc. His son and successor, Ptolemy II Philadelphus continued his father’s work, expanding the Library and Museum. Also, the later rulers surrounded both of these institutions similar care. Lord of the Egyptian cared about the material conditions of the scholars, freeing them completely from concern for the needs of everyday life. It is no wonder that drew everywhere Alexandria outstanding minds, quickly gaining the rank of a scientific center of the highest level. While working on the Greek language, they laid in this way the foundations for the future development of philology. On the new basis relied sciences and mathematics. Great emphasis was placed on the page experimental observation and measurement, developed strict mathematical methods. Doctors, modeled on Hippocrates (c. 460 – 377 BC), studied the human body and conducted medical studies. In Alexandria also acted physicists and inventors such as Philo of Byzantium (third century BC) and Heron of Alexandria (ca. 150 – ca 100 BC) From a scientific center was also connected Alexandrian scholar Archimedes of Syracuse (ca. 287 – ca 212 BC), one of the most brilliant physicists Greek, who not only studied in Alexandria, but then of Syracuse carried on a lively correspondence with local scholars. Here, too, Euclid (c. 330 – ca 275 BC) created his immortal geometry. One of the most famous Alexandrian scholars was Erathosthenes (ca. 275 – ca 194 BC), an eminent philosopher, mathematician, astronomer, geographer and one of the first librarians Library of Alexandria, to whom we owe the first measurement of the size of the Earth. Erathosthenes stated namely, that the day on which the noon sun shines in Syene (Aswan becny) vertically and you can see them even in głęboich wells, in Alexandria, they form an angle with the vertical direction equal to 1/50 of the full angle. Because based on the time the caravan needed to cross the road from Alexandria to Syene, Erathosthenes rated it at 5000 stadia, the total circumference of the Earth received a value of 250 000 stadiums. If we assume for J. L. Dreyer, the stadium was equal to 157.5 m, the circumference of the Earth to get the value of 39 000 km, which gives a radius of about 6200 km. Even more ambitious goal set before him Aristarchus of Samos (c. 320 – ok.250 pn.e. ): measure the distance of celestial bodies. It was the first such attempt, because so far these distances were determined exclusively by any mental speculation. 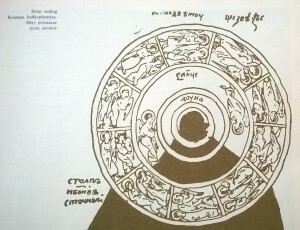 For example, the Pythagoreans assumed that the celestial spheres appeared in the marketing sounds heavenly music, because the size of these spheres, and thus the distance of celestial bodies linked with Pythagoras discovered by the relationship between whole numbers and the harmony of tones. Philolaus while he believed that the bodies of distances from the central fire grow exponentially and each subsequent body is three times farther from the center of the world than the previous one. Totally different approached to the issue Aristarchus at their attempt to determine the distance to the sun. 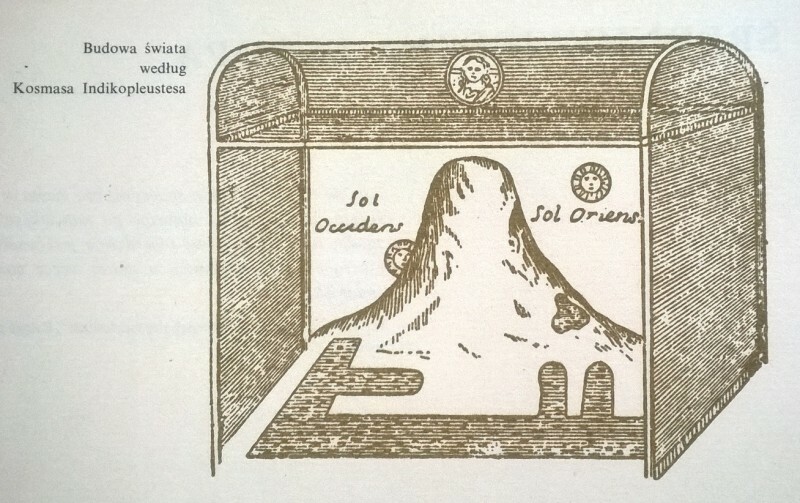 He believed, quite rightly, that because the moon is lit by sunlight, wiekość Moon phases depends on the angle, which currently make up with each other straight lines Sun – Moon and Moon – Earth. In particular, during the quarter phase angle is equal to the right angle, so I had to measure the angular distance between the moon and the sun, then you would be on the podstwie determine the distance of the Sun from the Earth in relation to the distances between Earth and Moon. 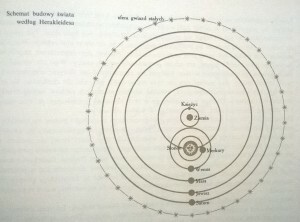 Aristarchus as a result of tests and measurements found that the sun is much larger than Earth, and stepped on the basis of the conclusion that the Earth should revolve around the sun; understand the illegitimacy of the geocentric system and created the first heliocentric model of the world. So we have a full base of Aristarchus of Samos to be regarded as a precursor of heliocentrism. These views are understood genius Archimedes and strongly fought, enemies were many. 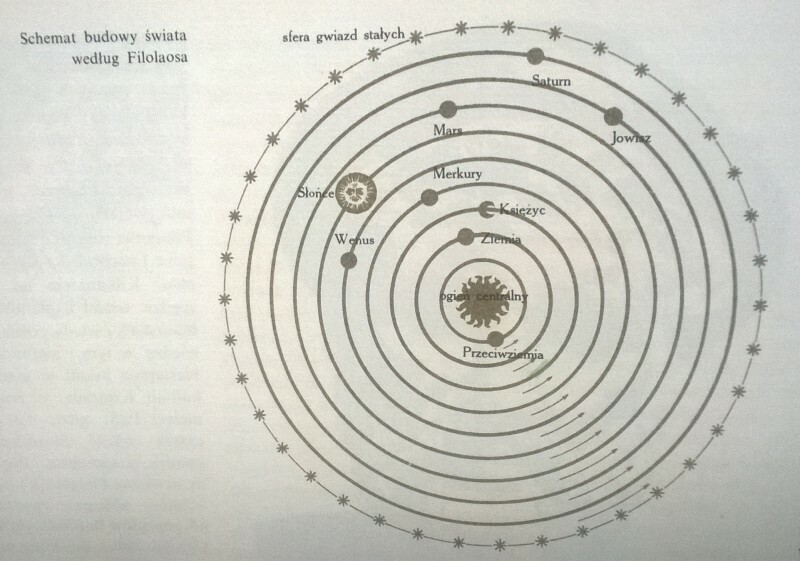 Claudius Ptolemy (c. 100 -168 AD), continuing the thought Hipparchus built a geocentric model of the world. His theory gave the work: Mathematik Syntaxis (mathematical work), also known under the title: Megale Syntaxis (great work), and in later centuries under the name of Almagest, derived from the Arabic processing Megale Syntaxis. 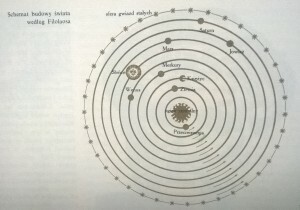 Ptolemy’s model has become the one and a half thousand years, the essential basis of astronomy. He explained the basic movements of celestial bodies in the way, however, artificial and contrary to the laws of nature. 1. Earth lies motionless in the center of the world. 2.The observed motions of celestial bodies are their actual movements. 3. All movements take place after the wheels because the wheel is the most perfect curve; to explain the complexity of the movements of the planets overlap several circular movements. the point from which this movement seems to be uniform. other spheres.It is interesting that, despite centuries of astronomers work in which they showed great ingenuity, the principle of property remained impassive Earth. It seemed so obvious and consistent with the testimony of the senses, it is generally not given her the question, the more that geocentryzm and anthropocentrism tied to the very foundations of religion. The work of Ptolemy was the final summary and the crowning achievements of ancient astronomy and next Aristotle belonged to the legacy that centuries of the ancient world passed next. It was also, and the last achievement of ancient astronomy. Heyday of the Egyptian state Lagids, while the period of the most favorable conditions for the development of science, long belonged to the past, because Egypt has long been a Roman province. 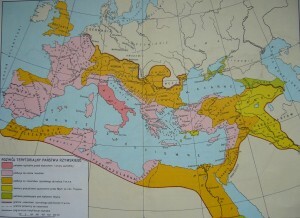 Increasing the distribution of the Roman Empire, its political and economic collapse led to a slow twilight of science. With the decline in the level of scientific life began to spread so typical of the Middle East Astrology. Some stigma also squeezed on the work of Ptolemy, who devoted her four books, known later under the name tuple Tatrabiblios (Czworoksiąg). For centuries, they were theoretical and practical basis of astrological practice. However, this Hellenistic astrology essentially different from its eastern original. While in Mesopotamia with the stars read only the fate of the rulers, as the elect of the gods, and therefore only draw attention to themselves worthy of their attention, the Greeks, having a different mentality, took the astrological predictions of all people. In the final period of the Empire destroyed the material foundations of science Alexandria. First she had already suffered losses in 47 BC, when, during the siege of Alexandria by Caesar burned main part of the Library, called Bruchejonem. However, soon after Antony gave the famous Egyptian queen Cleopatra in compensation 200 000 scrolls from the library Pergamon (Pergamon – Bergama today – a city in northwestern part of Asia Minor, the capital of the state of the Hellenistic Pergamon). The final destruction of the centuries have brought later. In the third century AD, during the riots at the time of the Emperor Aurelian, was destroyed Alexandrian Museum. Scholars now focused around the surviving parts Bibliotekli called the Serapeum, which, however, has a definite annihilation in 391 AD From that moment began the last phase of ancient science dusk. In the eighth w.p.n.e. developed in South Arabia the kingdom of the theocratic regime. There have been familiar with the history of the conquest by the Arabs countries with very old culture, such as Syria, Egypt, Mesopotamia and Persia. The new Muslim rulers, entitled caliphs, supported and surrounded care science, primarily astronomy and astrology. The powerful caliphate Baghdad, created in the mid-eighth century, the Arab conquerors, they found strong scientific centers, such as Dżundi-Szapur in Persia, where he took refuge after the closure of the Greek philosophers by Justinian in 525, the School of Athens, and as Harran in the north-west Mesopotamia, where the cultivated astronomy. In both these centers, even before the mastery of them by the Arabs, translated works of Greek scholars, including astronomical work, into Persian and Syriac, and from them later into Arabic. Astronomy in terms of Hellenistic went to the court of the caliphs of Baghdad from the north-western regions of India, where he arrived after the conquests of Alexander the Great Greek science, and where under her influence began to appear astronomical and astrological works. Probably under the influence of the western Indian astrologers caliph al-Mansur (second half of the eighth century) ordered that scientific works were translated into Arabic and was prepared to allow the calculation of numerical tables of planetary motions. Used by the Arabs lunar calendar based on the knowledge of the movements of the Moon and the observation of his positions, and calendar dates were related to feasts and fasts. Knowledge of the positions of the Sun, Moon and planets was of fundamental importance for astrological predictions, deeply rooted in the Arab world. Mainly for this purpose, the system has just arrays of positions of the planets. At the time of Caliph al-Mamun established at Baghdad 829 The observatory, which brought together distinguished astronomers. They studied the works of Ptolemy, not only Mathematik Syntaxis, but also later written Hypotheses planets, which basically became the main basis for the development of astronomy nations of Islam. 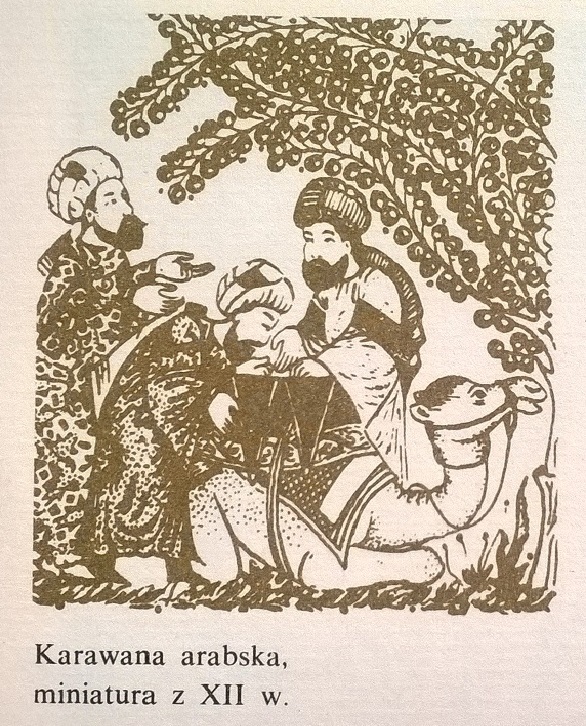 Among the first Baghdad astronomers enjoyed in the second half of the ninth century the great fame of Ahmed al-Fargani a native of Central Asia, known in European medieval literature as Alfraganus. 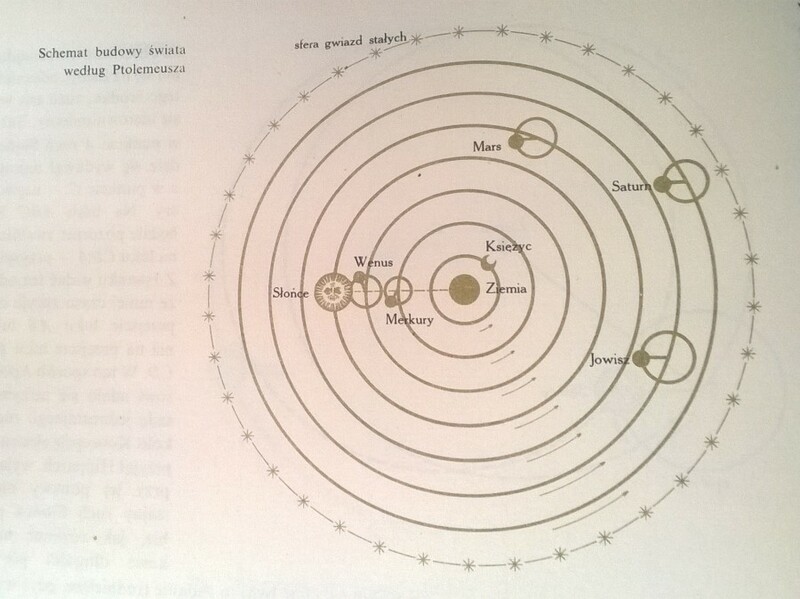 Under the influence of the planets Ptolemy developed hypotheses on the work of elements of astrology, which gave distances of the planets calculated so that the greatest distance of any of them at the same time was equal to the shortest distance of the planet still further. Rules of the astronomers observed the majority of the nations of Islam. With the younger generation of astronomers, the early era of the Caliphate of Baghdad to be the most prominent include two scholars from Harran: Tabitha ibn Kurram (826 – 901) and Abu Abdullah Muhammad ibn Jabir al-Battani (c. 854 – 929). The first one added to the eight key areas of Ptolemy’s sphere of nineteenth called later in Latin primum mobile. A big thanks to Tabitha was to develop a correct translation of the Almagest from Greek into Arabic under formerly of the translation of this work by Hunayn ibn Iszaka (809 – 873). Astronomers nations of Islam does not stop at translating and assimilating the astronomical works of Ptolemy, but we watched much of Baghdad and of other Arab astronomical observatories. 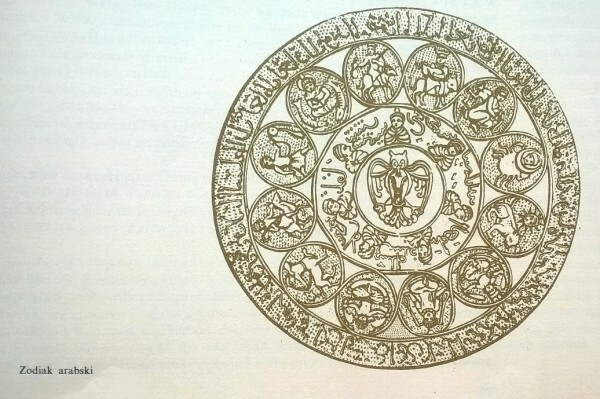 Their basic observational instrument was the astrolabe (Arabic asturlab), built in the eighth century by Ibrahim al-Fazariego based on Greek patterns. In later centuries, this instrument underwent numerous improvements. In fact, it was a full circle of metal with a graduated angular serving to set on celestial bodies. 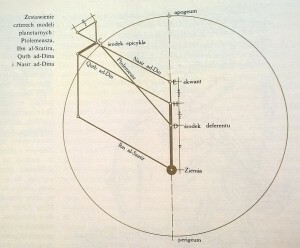 From the readings of the scale was calculated angular distance of a celestial body from the zenith; these calculations and to solve various tasks astronomical served geometric graphs on the surface of the astrolabe. Zealous observer was the second of the above astronomers, al-Battani. This versatile scholar was regarded as the greatest astronomer of the famous Arab in Western Europe in the Middle Ages. He diligently watched the heavenly bodies in the years 877 – 919 in the city of Al-Rakka on the western Euphrates, near Syria, and on the basis of their observations has improved many of the figures of Ptolemy, and the five planets announced their relationship largest and the smallest distance from the Earth, differing from those stated by al-Farganiego. Tables positions of the planets arranged by al–Battaniego enjoyed great respect in the Middle Ages. To the theory of planetary motion developed by Ptolemy in matematika Syntaxis, al-Battani no significant changes are not introduced. In X and XI century, in connection with the origination and development of caliphs in Egypt and southern Spain, there began to create scientific foci, which had a great influence on the development of European astronomy. Especially important when rebirth of astronomy in the fifteenth century in Europe were the work of optics and the Arab astronomer at the turn of the tenth and eleventh centuries the name of Ibn al-Haitam (Alhazen, as he was called in medieval Europe). Alhazen came from Basra in Mesopotamia, but taught in Cairo. He worked out in the form of a finite model of the universe, having spherical and consists of 9 spherical shells that slide one after the other, leaving no voids. Inside each of these coatings are deposited coatings smaller planet having their surfaces. Number of layers was chosen so that the combination of their monotonous rotational movements around different axes could explain the observed motion of the planets in the sky. Alhazen model contained a total of 47 mutually tangent spheres. Among the Muslim astronomers of Cordoba in southern Spain was the most outstanding person in the eleventh century az-Zarka, known in the Middle Ages under the name Arzachel (1029-1087). He improved the astrolabe, watching the position of the planets and on the basis of their own observations and other astronomers from Spain, both Muslim and Jewish, has developed arrays of positions of planets, called Tables Toledańskimi. As soon as the Muslim kingdoms of southern Spain was conquered by the Christian rulers, astronomical studies began to decline. But it was not the end of Astronomy nations of Islam, because it created new centers of astronomical thought in Asia Minor and Central Europe. In 1258 Mesopotamia was conquered by the Mongol leader Hulagu, the grandson of Genghis Khan, who eventually abolished the Caliphate Baghdad and established a new dynasty Ilchanidów. Already in the first years of his reign Hulagu appeared as a patron of astronomy, allocating substantial funds for the establishment and maintenance of a new astronomical observatory, which was organized by one of the greatest astronomers nations of Islam, Persian Nasir al-Din al-Tusi (1201-1274). This observatory was founded in Maraga in Iranian Azerbaijan, east of Lake Urmia from Tabriz. It was well equipped with instruments of observation and had a huge library, allegedly composed of 400 000 manuscripts! The observatory in Maradze al-Tusi has accumulated many astronomers from different countries, from China to the east up to Spain in the West. On request, Hulagu performed in Maradze systematic observations of the positions of the planets to align with the new planetary tables. This objective has been achieved, the boards received a new name Ilchanidzkich. The greatest scientific merit lay Nasir al-Din al-Tusi, creating along with his disciples a new geometric theory of planetary motion. It zazanaczyc that they strictly stick to rules for the submission of uniform circular motions using matched pairs of vectors, devised by Nasir al-Din. Peak of these achievements was the theory of Ibn al-Szatira, astronomer of Damascus in the mid-fourteenth century model of traffic five planets, developed by Ibn al-Szatira, contained neither eccentrics nor epicycles, as essential rays main wheels were led from the Earth as the center, and with them bound pairs of vectorial Nasir al-Din. Fellowship of eminent astronomers of the nation of Islam closes the grandson of the famous Timur, Mongol ruler Ulugh-Beg Samarakandy (1394 – 1449) with a focused school with him astronomical. He founded an observatory in Samarkand, whose main instrument was a giant sextant with a circular arc with a radius of 43 m observatory that Ulugh-Bek and colleagues closely following the position of the heavenly bodies, in particular the stars and planets. An enormous merit of Muslim astronomers were enriching learning new observational data from different departments of astronomy, but most of all we owe them a store of scientific thought, provided by the Greek scholars. With its rich legacy of scientific achievements of antiquity inherited awakening to life science medieval Europe. At a time when the Arabs learned about teaching Greek, Europe drowning in the darkness of the early Middle Ages. European nations belonging to the former Roman Empire only started to emerge from the chaos caused by the collapse, which occurred at the end of the fourth century. The western part was once a powerful empire, based on already experiencing slavery and torn apart by internal unrest and conflicts, finally collapsed in the fifth century. under the pressure of barbarian Germanic tribes. The catastrophe of this powerful socio-political system entailed, inter alia, the fall of ancient culture and science, which was due to the young and intolerant of Christianity, fighting everything that was associated with paganism. It should be noted, however, that the situation was different in the West, and otherwise in the East. 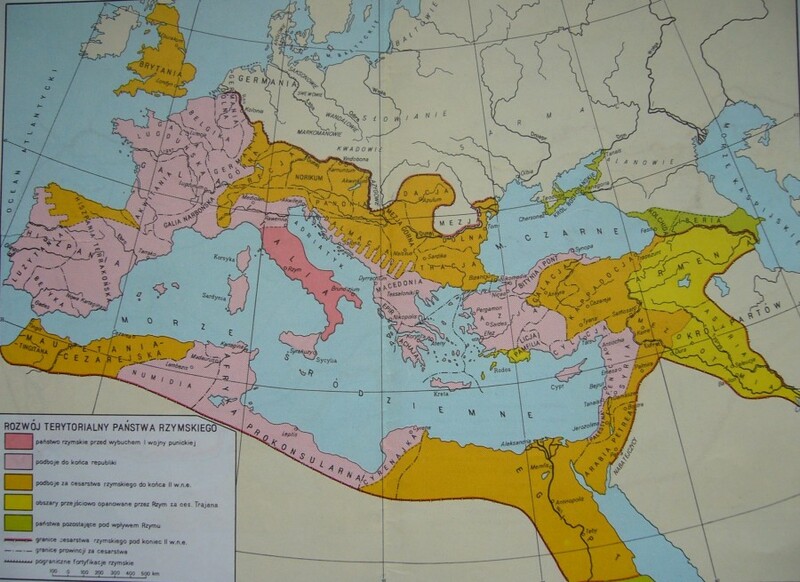 The eastern part was able to resist the incursions of the barbarians, and keep being the state as the Eastern Empire, or Byzantine, which made it possible to maintain a certain continuity of Greek culture and science. V in. There was a final rout of the old Alexandrian science center, and in the next century, the Emperor Justinian closed the last pagan philosophical school in Athens, however, retains the achievement of Greek science: science and astronomy. Especially engraved research centers in Byzantium and Trapezunt (a port city on the south-eastern shore of the Black Sea, after the formation of Constantinople by the Crusaders and the area of the Latin Empire Trapezunt (in 1204 ) became the capital). Byzantine science but did not develop as science grecka.To was strong shift towards religious and theological affairs has caused a return to the primitive and unscientific views. 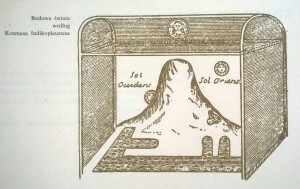 In 535 r. Alexandrian monk, before merchant and explorer – Cosmas Indicopleustes wrote a book „Christian topography of the world based on the testimony of Scripture, in which Christian to doubt, do not.” Indikopleustes claimed that you can not believe the secular science, which imagines that reason can explain the world. In this work, an image of the world, in which not only the land was still and flat, but a rectangle. Was in the middle of Palestine, as the Holy Land, and to the north it rose a huge mountain. All celestial bodies circling the earth, but never descended below it, just hid behind the mountain and moved in rotating spheres by angels. Tem whole world was limited to the sides of the vertical walls on the bottom and covered with a roof made a giant crate at the bottom of which lay the Earth. At the top was the seat of God, who watched over the whole world. This model resembles primitive described earlier Babylonian view of the world. Cosmas Indicopleustes views, supported by the church – have shown a long service life. A thousand years later, we find them in Russia, where the Orthodox Church has had a decisive voice in matters of scientific and ideological. In a much worse situation was teaching in the West. The ancient Romans were not interested in science – mainly paid attention to its practical application. Their achievements related to the organization of the state, law, construction, and various branches of technology. The only Roman achievement in astronomy was arranging the application by Julius Caesar in 46 BC calendar reckoning of time. The concept of this calendar came from Sozygenesa astronomer from Alexandria. But this science suffered as a result of the invasion of the Germanic barbarians. They led to chaos and disorganization of the lands of the Empire. It took a few centuries later to this chaos emerged visibly new order. Winners civilize the barbarians began under the influence of the defeated peoples, and as a result of mixing of the population has been initiated the formation of the new nations and new societies. 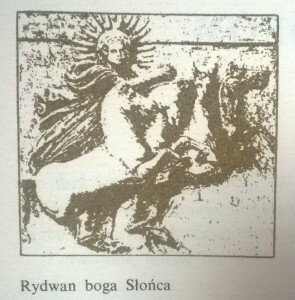 At the same time started yet reached the end of the Roman Empire in schyłu the replacement of the slave system obsolete feudal system more cost effective. Started to appear new state organisms, which was a long and complicated process in the era of the numerous wars and unrest related to the migrations of peoples. Teaching of the Church in those days was that person as a result of their imperfections never be able to grasp the truth about the world. The humility of spirit and patient acceptance of the hardships and sufferings of earthly life was to help man in zasłużeniu himself to eternal happiness. This created a doctrine called augustianizmem – the philosophical basis of the medieval Church’s relationship to science. Its founder was St. Augustine eminent theologian and philosopher. He recognized the absolute measured links of the world and of man from God. 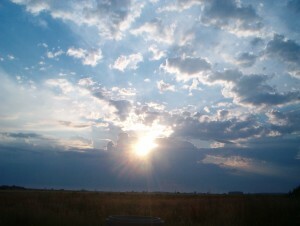 The main objective of the human mind and the knowledge of God, he thought of his own soul. The philosophy of the closed before learning and development opportunities. In 373. Holy Roman Emperor Valens ordered the burning of all books of non-Christian. In the eleventh century. By order of Pope Gregory I burned in Rome Palatine Apollo library containing priceless works of ancient philosophers. In later centuries were also similar events. In 1109. In Tripoli and in 1204. In Constantinople Crusaders burned more than 100 000 scientific works antiquity. In those days, the practical application of the science of astronomy belonged. Revived an old debate about the flat land. It was not until the twelfth century. Began to improve the state of science, including astronomy, thanks to the interest of Europe’s nations science scholars of Islam. Some of them went to the Arab countries, notably in Spain and Sicily, where he learned about the work of the Arab and Arabs saved by works of Greek. The most famous was an Italian scholar Garard of Cremona. He drove to Toledo, where he found a variety of scholarly works and took up their translation from Arabic into Latin. First translated Almagest. Then the works have been translated Euclid, Aristotle, Archimedes, and other scholars of antiquity. 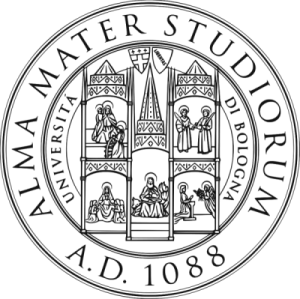 At this time, as a result of the aforementioned intellectual recovery, where the first universities, namely : in Bologna (1088), Ravenna (1110-1130), Paris (1200), Cambridge (1209), Oxford (1214), Padua (1222 ) and Naples (1224). This process has contributed to stabilizing the political and economic situation. Congeal European countries, the threat has passed. The Church does not put a stop accepting the principle of an Arab-Greek science, although the philosophy of Aristotle was Stallman to mid-thirteenth century. In time, it was adapted to Christian theology. In cases of cognitive put forward the principle of relative independence of natural science from theology. It was believed that these two dycypliny treat the same object from two different points of view. Natural sciences, however, could not stand in contradiction with religion. Together with astronomy penetrated into Europe and astrology. Conducive to the development of astrology belief in the impact of human factors on the fate of the supernatural, above all, however, favored the geocentric system, in which the Earth was subordinated to all celestial bodies. It was believed that the sun, moon and planets affect events on the ground that each of these celestial bodies has its day in the week, that each of them is governed by certain parts of the human body. Impact on human lives also attributed the Zodiac signs, especially the passage of the sun, moon and planets for each character. On this basis, developed astrological predictions, which were laid horoscopes and predictions. 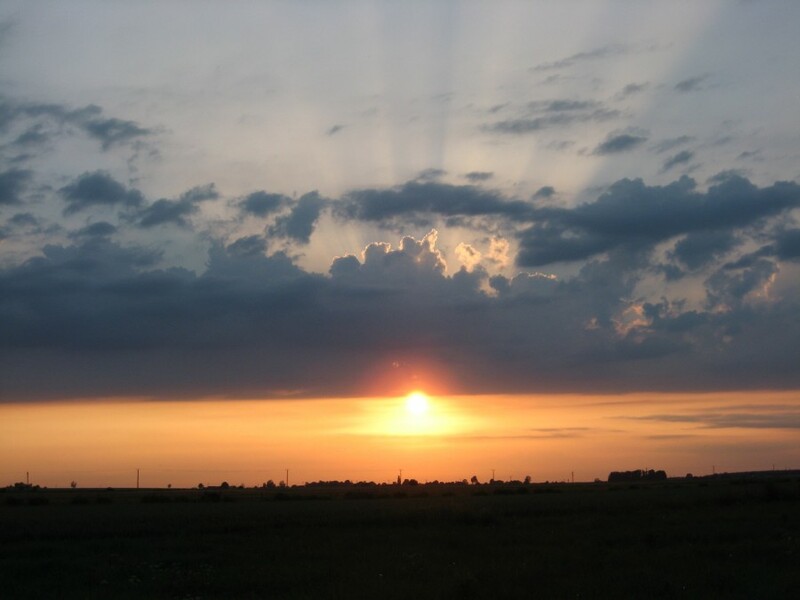 There was a widespread belief that the perfect and divine celestial bodies, as assigned to the Earth, have a profound impact on everything that was happening there. A prominent role in the formation of a number of European astronomy played in this era of translating Arabic works into Latin. In the first place, there is the already mentioned works of Ibn al-Haitama, Ahmed al-Fargani (Alfraganus) and al-Bitrudżi (Alpetragius), developed under the influence of hypotheses rather than Almagest Ptolemy. During the Latin translation of al-Tables of Toledo Zarkaliego (Arzachel), made by Gerard of Cremona, spread the theory of trepidation. 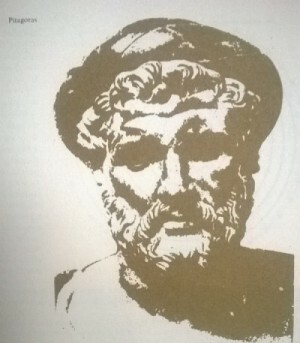 As a result of the numerous translations from Arabic and scientific contacts wide coverage of European scholars also rebounded Arab criticism of the theory of Ptolemy and return to the concept of spheres homocentrycznych Aristotle. To a large extent contributed to the Muhammad ibn Ruszd (Averroes), an advocate of the philosophy of Aristotle, enjoying high authority in the Middle Ages. 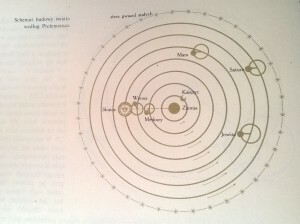 Nevertheless, the majority of European astronomers tended towards theories of Ptolemy. Taken over from the Arabs Greek views on the construction of the world spread quite quickly, as evidenced by the Divine Comedy of Dante (1265-1321). There is a description of the nine spheres of crystal floating around the Earth and celestial bodies. After seven first circled the sun, moon and planets were attached eighth star. The entire ninth sphere included, suitable to other traffic. The area consisted of the Earth is good for us already known elements – earth, water, air and fire, while the blue part of the ether. Is easy to see here the influence of Aristotle. But this is not the end. In the above model, the planets were fixed on smaller crutches, pending the aforementioned areas. Every sphere of useful was to oversee the movement of an angel, which was higher sphere, the higher the grade of the blue he was an angel. On the one hand, it reminds Cosmas Indicopleustes views, on the other, the angelic-heavenly hierarchy is a reflection of the feudal hierarchy. Together with astronomy penetrated into Europe and astrology, which, thanks to the low level of public mental found fertile ground for development. Although the church was against astrology, despite the fact it has developed great. It happened more than once that the chief priests engaged in astrology in their courts. In such conditions, the astrological practice spread more and more, and in the fourteenth and fifteenth centuries. The development of astrology in Europe reached the peak of its development. In the Middle Ages it was noted that the observed positions of the planets differ from calculated from the tables of Ptolemy. Occurred so no need to adjust the existing tables of planetary motions, the process was marked in medieval Europe in the period of acquisition of the Arab-Greek astronomy. 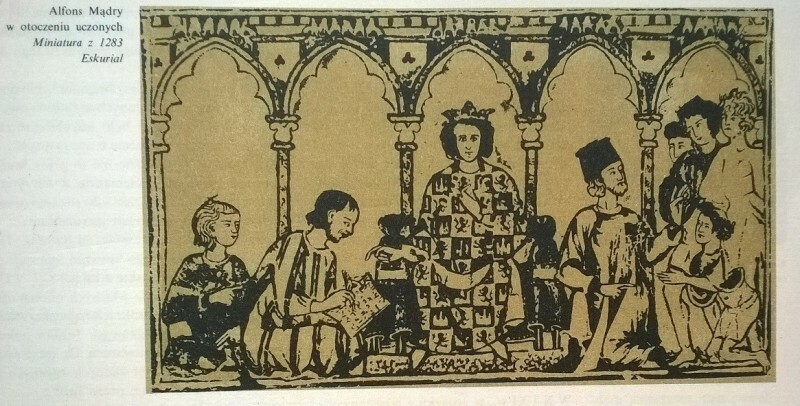 Outstanding contribution to the king put here Alfonso X (1226-1284), called the Wise, a great lover and patron of science and art. After gaining on Moors Toledo, gathered there a group of Jewish and Christian scholars who are under his care and leadership translated into Latin works on astronomy, law and history. 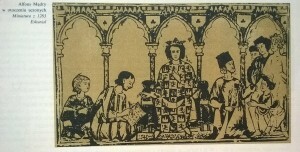 In 1252 , they developed a new astronomical tables, named after the ruler and protector Tables Alfonso. Like the original, they were based on the theory of trepidation, moreover commonly ingested in contemporary Europe. Text Tables Alfonso which so widely spread in the fourteenth and fifteenth centuries. In Europe, was developed in Paris in 1320. And differed from the original tables. Alfonso X gave a great treatise based on Arabic sources under the title „Book of the sage,” which included all the contemporary astronomy. Another prominent figure of the time was John Holywood called Sacrobosco. A native of Halifax, England, but worked in Paris, where he died in 1250. In his work under the name „Treatise on the area of the world,” he gave a lecture elementary astronomers with special attention to the movement of the celestial sphere. Treaty enjoyed great popularity, and even in the sixteenth century. Belonged to the basic textbooks of astronomy. But it was not the original work, because its content has been taken from the works of al-Fargani and al-Battani. Another outstanding scholar of the same era was the philosopher and naturalist Rodger Bacon (1210-1294). 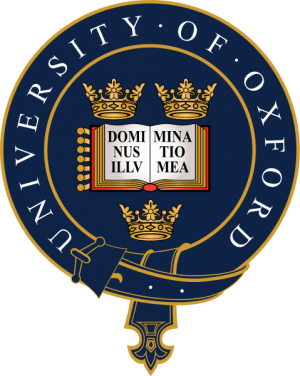 He worked in Paris and Oxford. 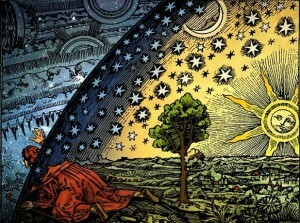 Although based on Augustinism , however, recognized the importance and significance of the natural sciences. He attributed the major importance of experience and mathematical proofs. Science conceived as a continuous and endless process of „truth – he wrote – we seek the end of the world, because nothing in human ideas is not perfect.” Bacon was a supporter of Pope Clement (1265-1268). On behalf of and in the care of the Pope wrote Bacon in 1267. His most important works, which were: „Larger Work”, „Less work of” and „The third work”. Roger Bacon was not an astronomer, but his progressive approach to support science and math experimental methods paved the way modern thought and was taken in the era of rebirth. His views irritated conservative scholars and church authorities, and after 1268 there was no pope-guardian, who had been his supporter. Bacon was in 1278. Thrown into prison, where he spent 14 years, came out of him as a 80-year old man. Roger Bacon, although he was not an astronomer, but his progressive approach to support science and math experimental methods paved the way modern thought and was taken in the Renaissance. Criticism of Aristotle and St. Thomas Aquinas took power proponents called philosophical nominalism, which, depending on location and time appeared in various forms. In the field of life sciences nominalists preached the need for knowledge of the world by experiment, and questioned the usefulness of the Aristotelian conceptual apparatus for analyzing the world. Weak point in the system, in particular, was Aristotle’s theory of motion. The case was still easy it was about the natural vertical movements, such as the decline of the body. The movement of the Aristotle explained the tendency of every body to take the corresponding place in the world. That’s why the stone fell to the ground, and the fire seemed to strive upwards to the air above the sphere of fire. But why is flying projectile thrown or fired an arrow? Aristotle explained it this way: the projectile moves, so it created a vacuum. However, because nature abhors a vacuum, the air immediately closes behind bullet, pushing him forward. This explanation, however, would not satisfy critical of nominalist. One of them, John Buridan (1300-1358) of the University of Paris, in his book „Questions about eight physical books,” criticized the physics of Aristotle. Among other things, rejected the explanation cited above body movement, making the place driven by air concept of „momentum”, transmitted to the body at the time of disposal. It is interesting that this principle also extended the celestial bodies, considering that there is no need to explain the movements of the heavenly bodies direct action of the angels, because God created the world gave them a suitable „momentum” and since then they move themselves, since there is no factor which could inhibit them. It is worth noting that we have been here a kind of prototype of the principle of the unity of the universe. The views Buridan took over his student Nicholas from Oresme (1320-1382), a scholar also associated with the University of Paris. With the many scientific issues, which they occupied, we are most interested in his discussion of the motion. 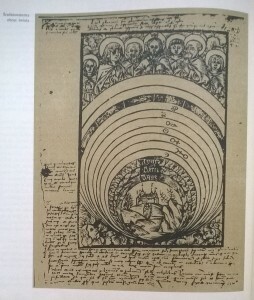 It showed in the way of logical reasoning that the daily movement of the celestial sphere can be explained by both the actual movement and rotation of the earth itself, pointed out that the argument that the motion of the earth can not refute any argument or logical or physical, or based on the Bible. To demonstrate the property of the Earth Aristotle cited as an important argument the fact that an arrow shot straight up falling in place, from which it was released. If the Earth to revolve, the arrow would – according to Aristotle – fall west of the site launch, because at the time of the flight Earth would turn a little to the east. Nicholas from Oresme toppled this claim, rightly pointing out that the arrow moves with the rotating Earth and surrounds it with air, and therefore must fall into place from which it was launched. Of course, neither Roger Bacon nor Nicholas from Oresme not created yet and could not create a new correct picture of the world, but their progressive ideas and support learning methods, experimental and mathematical paved the way modern thought and have been taken during the Renaissance.